Grow, alongside Micro and Bloom, constitute the perfect nutrient base for your plants’ growth and flowering periods by simply raising or lowering certain dosages. Thanks to its pH perfect technology there’s no need to worry about adjusting the pH. Grow, alongside Micro and Bloom by Advanced Nutrients form the perfect nutrient base for your plants entire life cycle. 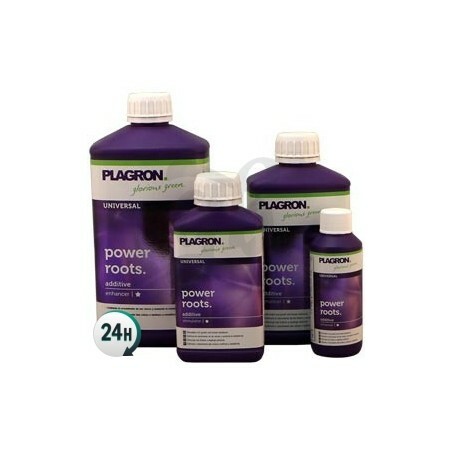 Its advanced formula makes for excellent harvests, especially in hydroponic and aeroponic growing areas. If you use these products alongside certain Advanced Nutrients additives (B51 and Voodoo Juice during the growth period and Big Bud and Overdrive during the flowering period) while following a simple grow chart, you’ll be able to get absolutely incredible results. You’ll also be giving your plants the perfect pH, as it automatically regulates the pH in your water depending on the additives used. This product really does have visible effects on your plants. You’ll also want to use a root cleaning product such as Flawless Finish by Advanced Nutrients around 10 days before harvesting. You’ll be able to considerably improve your plants final yield. La tierra llegó al día siguiente,se nota suelta, aireada, es buena. Fueron muy muy rápidos en traer el pedido. Además adjuntaron al pedido unos detalles que como consumid@r te hace sentir compensad@.